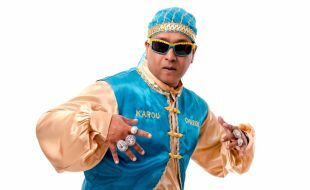 All-round entertainer Karou Charou – or the “turbaned one” – will be coming to Golden Horse to bring you his brand of unique entertainment. We hope you are ready! He will be performing some of his best material from his various shows over the past eight years, which means you are in for one heck of a ride! There will be music, song, comedy and dance… A bit like a Bollywood movie, only without subtitles. The show promises to be nothing short of a rollercoaster of laughs for all ages, so make sure you bring the whole family to enjoy a night of spectacular entertainment!